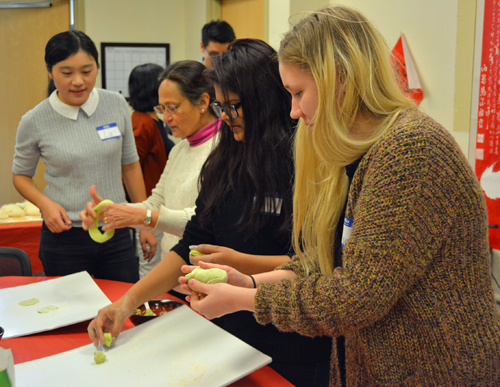 At noon on January 31st, the Confucius Institute at Cleveland State University held the first workshop in the Chinese Culture Workshop Series; making dumplings to celebrate the approaching Chinese Spring Festival which will be held on February 16, 2018 and Chinese New Year Celebration which will be held on February 24, 2018. Chinese cuisine enjoys worldwide prestige. Dumplings, are a traditional, mouth- watering comfort food, which make dumplings attractive to students on campuses and citizens around the world. 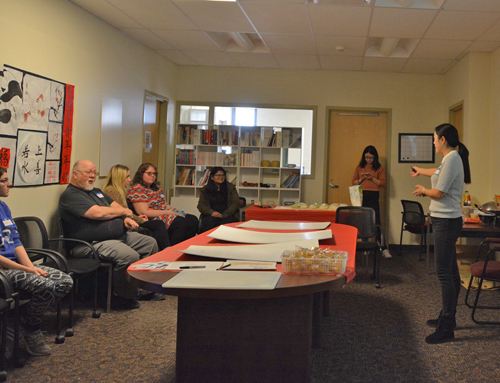 The workshop held on January 31 by the Confucius Institute at Cleveland State was well attended by both students and locals from the community. The workshop was led by Lu Geng who was assisted by the other instructors at The Confucius Institute. 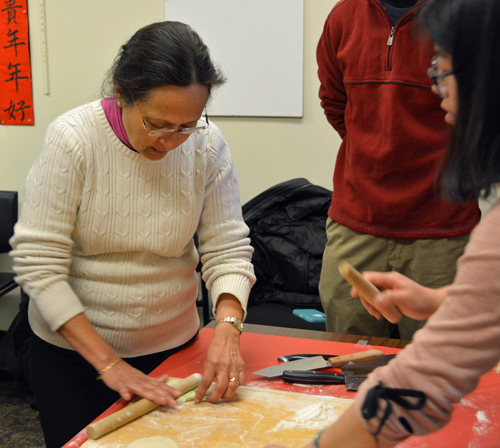 The Workshop began with Lu Geng briefly lecturing on the history and the cultural significance of Chinese dumplings. Then, Yufei Guo gave instructions on how to roll out the dumpling wrappers, mix the fillings, and form the dumplings themselves. All the participants were absorbed in the workshop, itching to try what they would make or jotting down detailed notes. 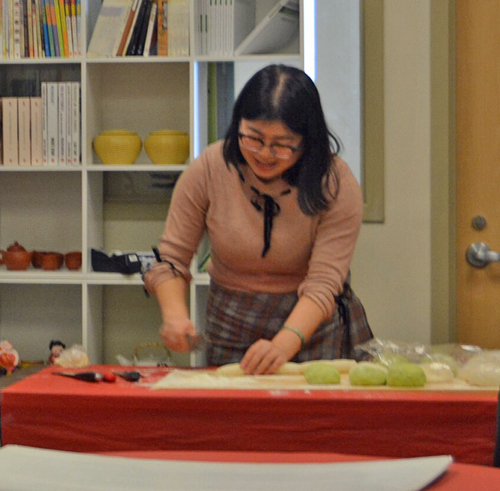 After the demonstration, everyone chose their own ingredients and then made dumplings step by step, rolling out dumpling wrappers, spooning the fillings onto the center of each wrapper, and pinching the dumplings into shape. Once the participants formed their dumplings, they put them into boiling water for several minutes until they floated. It was then time for the moment everyone was waiting for; enjoying handmade dumplings! Nothing tastes better than dumplings dipped in vinegar and soy sauce. Half of the fun for participants was the process of making their own dumplings, and everyone praised and enjoyed their handmade dumplings' unique taste and fresh ingredients, even though their shapes were sometimes not-so-perfect. 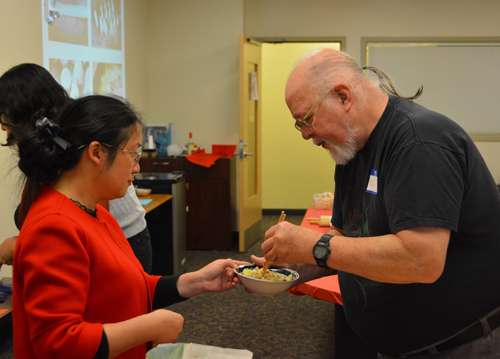 The participants of the workshop wore their enjoyment on their faces, calling their dumplings "amazing," and "so delicious!" 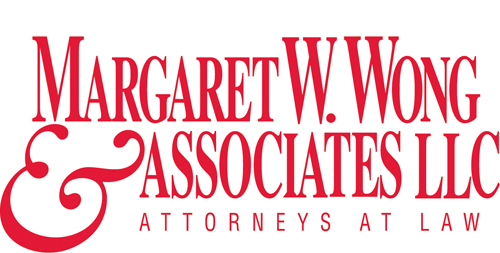 The dumpling is one of the most important, traditional cultural icons associated with Chinese New Year. 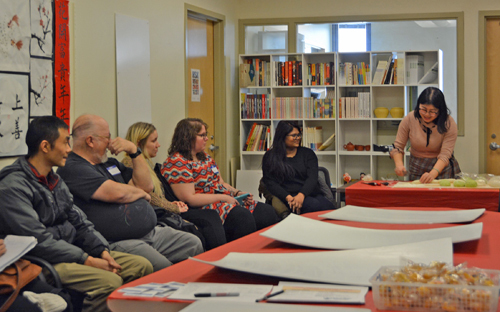 Participants in the workshop received experience making dumplings in each of the stages of construction, much like families in China gather to make their own dumplings around the Chinese New Year. Everyone enjoyed participating in a bustling, joyful, exciting atmosphere, much like the atmosphere of traditional Chinese New Year. As a famous poet of the Song Dynasty, Anshi Wang, wrote in the "New Year", "farewell the old and greet the new." This year the Chinese New Year's Eve, a day for Chinese Families to come together from near and far, falls on February 15th. 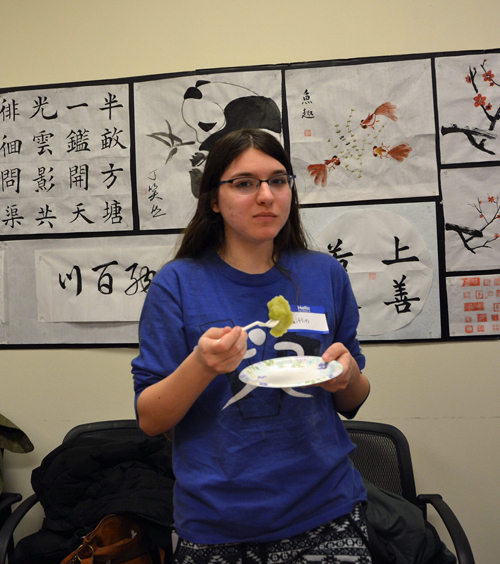 Confucius Institute has spread traditional Chinese food culture to the Cleveland community and brought a little bit of tradition to people living far from home.